GARDEN DIGGER AUGER DRILL BIT WORKS FOR YOU! Great for installing PVC sprinkler lines under sidewalks. Use in any electric or cordless drill that can accommodate a 3/8" bit. GREAT DIGGING AUGER FOR IRRIGATION, planting flowers, bulbs, bedding plants, and seedlings, weeding, and insecticide treatments. Quickly digs holes up to 28 inches deep and 1 3/4 inches wide using the power of your hand held drill. EXCEPTIONAL QUALITY AND VALUE. 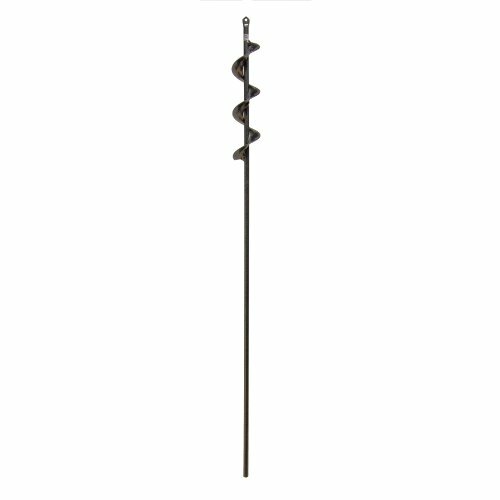 This is the best yard irrigation drill bit auger available. The heavy duty powder coated steel is built for a lifetime of use. Three flats on the shaft keep the auger from slipping. BUILT TO LAST. Powder coated durable steel construction, 30 inches tall, 1 3/4 inches wide, and weighs 1 lb.